This shirt has a wonderfully loud pattern. It is made out of a sheerish very strong cotton. The lightweight fabric would be great for a hot party. 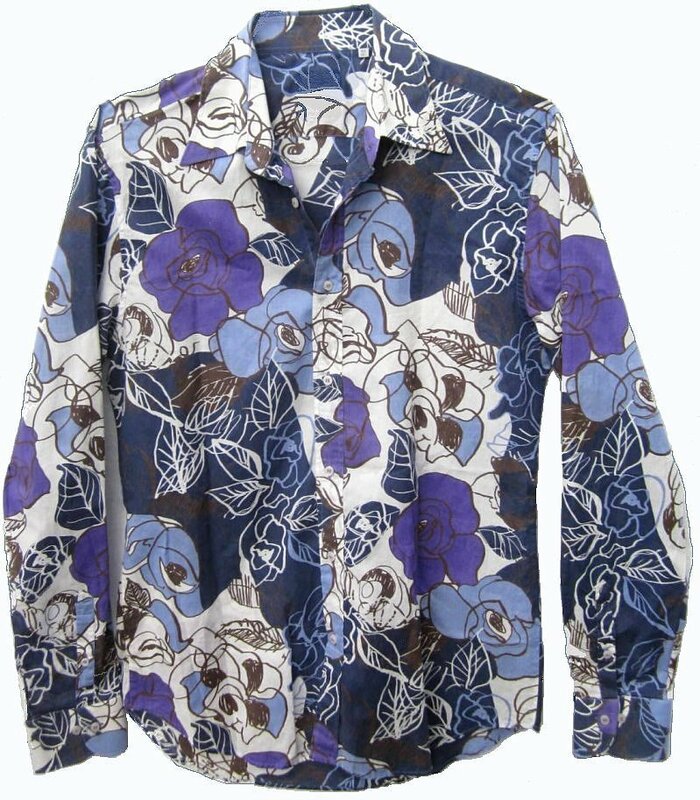 It would look great with jeans or navy blue polyester pants. The shirt is a today's Med fit as it is approximately 42.5" around at armpit level for a 38 Chest Fit. The shoulder is 20". The shirt length is 31.5. The sleeve length is 35". The shirt may fit up to a 40 Slender, a today's Med. It can be machine washed inside out and hung dry.